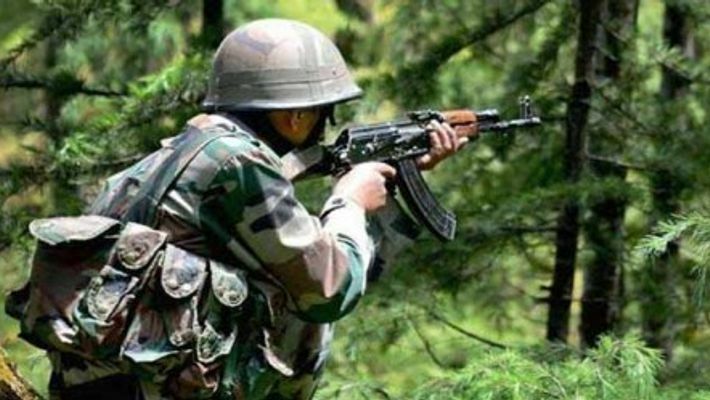 Jammu: The Pakistan Army violated ceasefire for the third consecutive day by shelling forward areas and posts along the LoC with mortar bombs in Jammu and Kashmir's Akhnoor and Sunderbani sectors Tuesday, officials said. Pakistani troops have violated ceasefire over 110 times along the Line of Control (LoC) this year. "There was continuous ceasefire violation as the Pakistani troops resorted to heavy firing and mortar shelling in Akhnoor sector in Jammu district Tuesday," the officials said. At 10.45 pm Monday, the Pakistan Army initiated unprovoked ceasefire violation by resorting to shelling with mortar bombs and firing of small arms along the LoC in Akhnoor and Sunderbani Sectors, a defence spokesman said. The Indian Army retaliated strongly and effectively, he said, adding that the firing continued till Tuesday morning. On Monday, an Army jawan was killed and four others were injured when the Pakistan Army violated ceasefire, resorting to heavy mortar shelling and firing along the LoC in Rajouri district. "In the incident, rifleman Karamjeet Singh was critically injured and later succumbed to injuries," the spokesman said, adding that four other soldiers were injured and condition of two of them was stated to be critical. As per the officials, the causality was caused in the Pakistani shelling along the LoC in Keri Battal forward area in the Sunderbani sector. On Sunday too, the sector was targeted by the Pakistan Army in unprovoked ceasefire violation. The border skirmishes witnessed a spurt after India's air strike on a Jaish-e-Mohammed terror camp in Balakot on February 26 in response to the February 14 Pulwama terror attack in which 40 CRPF personnel were killed. The year 2018 witnessed the highest number of ceasefire violations, numbering 2,936 by Pakistani troops, in the last 15 years along the Indo-Pak border.